SPA BABY . 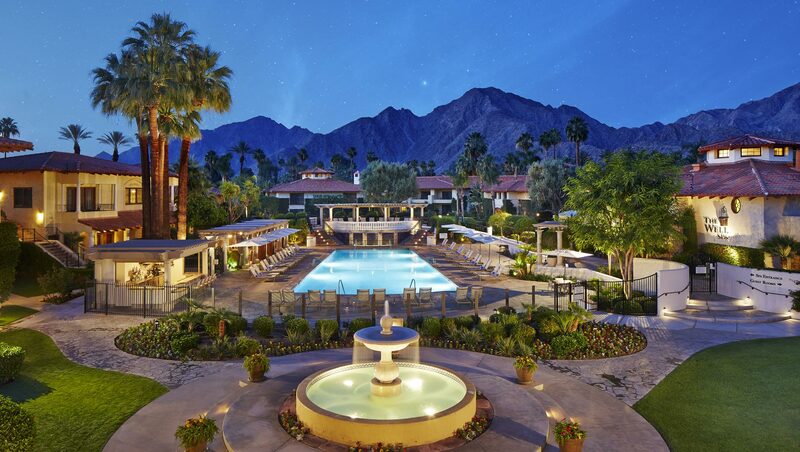 . .
Miramonte Resort & Spa, near Palm Springs, embraces summer at THE WELL Spa, the resort�s nationally recognized spa, with special treatments from massage and facials to body exfoliation and manicure and pedicures. In addition, room rates are dramatically reduced through September. This full-body exfoliation followed by a hydrating moisture application reveals beautiful summer skin. With a choice of salt or sugar guests can choose their taste: salt for a more detoxifying scrub, sugar for a hydrating exfoliation. Skilled therapists induce a blissful state of relaxation using a variety of strokes in light to medium pressure. This massage relieves stress and tension resulting in a profound sense of rejuvenation. For those preferring a Deep Tissue Massage they can upgrade for $30. This hydrating facial encourages healthy and beautiful skin all summer long with a special dose of hydration. Designed for all skin types, maximum hydration is achieved through a restorative hydro-active formula. This Organic Shea Butter Manicure/Pedicure ritual begins with a detoxifying Epsom and sea salt soak to restore and revitalize tired hands and feet, along with a glass of champagne. Dry skin is sloughed away during a cleansing exfoliation with gentle fruit extracts, while Shea butter replenishes and hydrates skin. Following the exfoliation is an intensive Shea butter cuticle and skin treatment that will smooth, plump, and transform skin leaving a beautiful glow. An ultra-hydrating organic Shea butter mask is applied to seal in this hydration for a soft, cashmere feel, while nails are impeccably groomed and polished. These luxurious spa treatments can be enjoyed on individual visits or combined with incredible overnight room rate packages. Miramonte Resort & Spa is a four-diamond vacation destination perfect for weekend getaways or mid-week travel escapes from surrounding Southern California areas, as well as a great option for stay-cations for Palm Springs and Coachella Valley residents. Miramonte Resort & Spa continues their �Stay Free� vacation package, which awards a complimentary third night to guests booking a two-night stay now through September 30, 2015. * Ideal for family trips, fun group or couples� getaways, the �Stay Free� package offers vacationers the opportunity to enjoy a relaxing three-day getaway at a luxurious property complemented with incredible summer spa specials. Situated at the base of the breathtaking San Jacinto Mountains, Miramonte Resort & Spa was recently recognized by Orbitz with a "Best In Stay� Award. The two-story bougainvillea-covered villas feature romantic architecture, intricate stonework, and tranquil piazzas. The expansive 11-acre property also boasts Italian fountains, outdoor fire pits, olive trees, fragrant citrus groves, and rose, herb and flower gardens. Guests visiting the Mediterranean village-inspired resort will enjoy a newly renovated pool, award-winning spa, gourmet dining, as well as a line-up of live musical performances scheduled throughout the summer. Miramonte�s Signature Pool features brand new outdoor furniture, a new state of the art sound system, and a full bar and menu with poolside service. Other upgrades include new private cabanas perfect for enjoying the entire day by the pool. Each cabana can be reserved in advance and comes with fresh fruit and beverages throughout the day, personal misters, a refrigerator, ceiling fan, sound system, and other lavish amenities. For guests looking for a more serene experience, the intimate Piedmont pool, tucked away at the back of the resort offers a relaxing oasis for adults only. During their stay at Miramonte Resort & Spa, guests can dine at the Grove Artisan Kitchen, best known for its "farm to table" seasonal California cuisine using ingredients from local artisan growers. Grove Artisan Kitchen�s menu features organic produce, fresh herbs grown on-property, farm-raised meats and poultry, fresh Pacific seafood, house-made pastas, prime dry-aged meats, and innovative vegetarian dishes. The restaurant features a $29 prix fixe dinner menu, from 5 � 9 p.m. daily, with weekly menu updates through September. Another on-property dining option, The Vineyard Lounge, offers a Summer Happy Hour from 3 to 5 p.m., featuring $5 well drinks and wine along with a variety of discounted appetizers. Additionally, live entertainment is scheduled throughout the summer, including Orange County Performer of the Year Gennine Jackson, among others. Miramonte Resort & Spa is a four-diamond resort destination bringing the spirit of the Mediterranean to the California desert community of Indian Wells, near Palm Springs. The intimate resort village features THE WELL� Spa, which has been consistently named in the Top 100 Resort Spas in North America by the readers of Conde Nast Traveler magazine. Additionally, the acclaimed Mediterranean-inspired Grove Artisan Kitchen offers guests an unforgettable farm-to-table culinary experience.